This is the beginning and an end of Magic SEA postings. Though there are more magic rituals untouched, 700 odd postings already cover most of the available spells and rituals available in the Southeast Asia. Someone dropped me a note asking if I would ever get tired of magic; and I think I am really got tired of the ordinary magic that you can find in the intranet. It is time for me to move on to the ‘next level’ of study and to explore further into the Indochinese herbal practices. The hill tribes of the Indochina such as Yao and Hmong are still practicing a mixture of Taoist ritual and keeping Phi Phop. There are many types of Phi Phops: The snake, the golden silkworm, the catfish, the scorpion, toad, banana, ginger etc. The Vietnamese magic is influenced mostly by the Mahayana Buddhism, Taoism and to some extend the Cambodian and Thai magic. A notable magic is the practice of ‘Ngai’ plant. An Ngai plant is normally from ginger or lily family; but other plant types also possible as I was told. It is said that a person only needs to eat some portion of the Ngai root so that he or she can gain supernatural strength. This practice is especially popular amongst the boxers. Cambodian, Thai and Laos’s magic need not further introductions. Basically these magical systems are influenced by Brahmism, Buddhism and local animism. Typical of these systems are Kumanthong, Lokok (real human fetus), Leklai and the Nam Man Prai corpse oil. 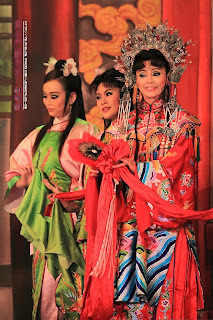 Malaysian magical practices are only prevails in the Chinese and Indian societies these days. The old local Malay magic practices such as Hantu Raya and Santau are almost driven to extinction. But I was told that one can still find traces of the black magician in parts of Peninsular. The belief of weretiger is still very prevalent in Sumatera and Malaysia. The Asma Sungei Rajah with many variants are typical Javanese magic; simple but powerful. Of course no one can forget Deva Yakong and Leak from Bali. So, you have it folks; magic of SEA unleashed in front of you one by one. Now it’s time of Magic SEA to go hibernation. I will not check on the comment box, so drop me a note if you have queries. My responds would be slow as I would be in the field most of the time. Magical and spiritual issues are fun to read and talk about over tea time or supper. The aim of this blog is for people sharing the same interest to read and forget about them. So, it is my hope that if you happened to stumbled into this blog; you should forget about the blog contents when you leave this blog. It is best for the blog visitors not to copy the blog content as many of the materials are untested and for entertainment purpose only. The question of a wrong spell or incantation does not exist as magic rituals are 90% of the time unworkable. If magic works 100% of the time, the world we live in will not be as it is now. I reiterate that it is not the practice of this blog to give credit to any other sources obtained for uniformity: for many sources cannot and should not be exposed though many more are from the intranet. I am not taking credit for myself nor do I make any money out of these materials. My only credit is my effort in compiling the materials; bearing in mind that my original purpose of blog posting is for my own use. So you are welcome if you stumble in, but please stamp the word ‘underground’ in mind once you are in. Kindly proceed if you agree with the disclaimer printed on top. As I have stated many times, I am curious about magic but I am not at all crazy about them. Please don’t drop me mails with the intention to sell me products: cosmetic, chemical, health or any unnamed ones. Most importantly, I am not financially well to carry out any of the business proposals. So save your efforts. Though my blog materials are free, the physical items and services are not free. Likewise, No one can come to my house and wanted my wife for free right? Well, luckily I am still single before you ask. I don’t like to set rules; but I reserve the rights to ‘delete’ comments that I think irrelevant to the topics. Please don’t feel offended and say I am arrogant. You are welcome to contribute and your work will be duly accredited. Well friends, you have your rules, and I have mine; so be it. 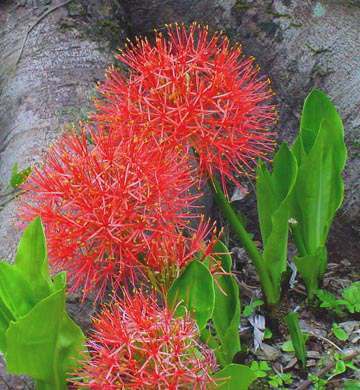 Blood Lily is also known as ‘Malai Ngai’ in Vietnamese occult circles. This spirit is believed to be at par with the Chinese banana spirit (香蕉精), Thai Phi Phop and the Malay ‘Penangalan’. Below is a real case but due to the nature of such black magic, the names are intentionally replaced. I got to know the late Aunt Ann when I visited an old folk’s home to distribute some donations. The charity organization that I attached to used to give out donations a few rounds throughout the year. I am not financially sound, so I can only donate my labor and time. After a few rounds of visits to the old folk’s home, I got pretty much acquainted with Aunt Ann. So we started to chat at first casually and then more towards our personal affairs. One day, Aunt Ann pulled me aside and made a very strange request: she wanted to seek revenge on her unfilial sons as they have abandoned her at an old folk’s home. It transpires that Aunt Ann was quite a successful businesswoman and owns a small family business. But upon her 70th birthday, her sons sweet talked her to transfer all her properties to them. They promised Aunt Ann that she can sit tight in her chair and enjoy her life; but things didn’t go as expected. As soon as Aunt Ann has transferred everything to her sons, their attitude towards Aunt Ann changed from warm to lukewarm and then to cold. Finally, they decided that Aunt Ann was a burden and decided to drop her off in this current old folk’s home. According to Aunt Ann, her sons didn’t even pay for the bills to the old folk’s home! At first I disliked Aunt Ann’s request but since she was sick and her days were numbered; I had to oblige in the hope Aunt Ann can go in peace. The news of Aunt Ann’s death soon reached me from the administration, so I arranged for a simple funeral services and her body was cremated. It was quite sad that only one of the volunteer and me paid last respect to Aunt Ann. Now to carry out Aunt Ann’s final wish, I got myself a pot of blood lily then I went into a deep forest where no one will be around with Aunt Ann’s ashes. After choosing an extremely bad Feng Shui location, I dug a hole in the ground and pour Aunt Ann’s ashes into the hole and then plant the blood lily on top of the cremation ashes. After that I poured some chicken blood as fertilizer and murmured some incantations and left the place in haste as it was about to rain. About 7 weeks later, Ann’s elder son’s stomach bulged mysteriously with excruciating pain; her second son was involved with an accident and was crippled for the rest of his life while the third son was found dead with drug overdose. Needless to say, their business was ruined as well due to improper management. That was about all I know about the consequences of the curse of blood lily. I hope Aunt Ann can rest in peace now that she has her revenge. Oh, unless Aunt Ann’s sons can find whereabouts of the blood lily within 100 days’ time, then death is almost imminent. My answer is that I think the belief of a vengeful spirit in red (紅衣厲鬼) stems from the story of “peach girl fight duke” (桃花女斗周公). Folklore has it that when “The Dark Lord of North” (玄天上帝) meditated on the Snow Mountain, he has a sword with him for protection. But due to his negligence, this sword and sheath absorbed the essence of sun and moon and transformed into spirits. The sword became the Yang body (陽體) while the sheath became the Ying body (陰體); both of them have the magical capability to transform into human shape. The spirit of the sheath was given a task to manage the jade pool and peach orchard; it was given the name of “fairy of the peach flower” (桃花仙子). On the other hand, the sword spirit wanted to be an immortal so it started to create troubles on “Swing Demon Mountain” (盪魔山). It was later being captured by the heavenly soldiers (天兵) and prior to beheading; the Taoist Master (太上老君) pitied it and saved it from being beheaded and this sword spirit was given a job as the “watcher of the box” (盒童) in the master’s Tusita Palace (兜率宮). As the saying goes, old habits die hard; this sword spirit failed to behave and stole the master’s secret magical rituals and secretly escaped from the Tusita Palace and subsequently reborn as Zhou Qian (周乾) in a scholar’s family in the Shang Dynasty (商朝). On the other hand, the peach flower lady was ordered by the Jade Emperor to capture this rebellious sword spirit; she was born in the house of great grandfather Ren. Because of her beauty, she was known as the “peach flower girl”. Both Zhou Qian and the peach flower girl were born with magical powers and they were destined to meet and engaged in magical duel. Zhou Qian tricked the peach flower girl by marrying her during certain demonic days. It was his hope to hurt the girl with these demonic forces; but the girl has her own tricks also. On her wedding day, she asked her servants to cover the path with red clothes and her sedan chair sewed with the images of gods and goddesses; accompanied with the burning of sandal wood and Boye leaves. She also worn deep red gown and her head was covered with red head cover. When she alighted from the sedan chair, she would be stepping on the red cloth and hence capturing all the demons with the heavenly and earthly dragnets (天羅地網). Their magical duel stirred up such a commotion that has attracted the attentions of the heavenly minister on duty and the Dark Lord was duly informed. On learning the incidents both of Zhou Qian and the Peach Flower were summoned to see the Dark Lord. The Dark Lord gave both golden elixir (金丹) and ordered them to guard the Zhenwu Temple on Wudang Mountain (武當山真武廟). In later cases, people must have mimicked this story and in the hope of getting even or revenge after death, they wear red clothing before committing suicide. I don’t want to be wet blankets to those who have died in saying that such action seldom work; and in truth the spirits seldom comes in red or anything close to it. That is, if you can see them of course. 1. Find yourself a known haunted place but first seek permission of the landlord. 2. Arrange all of the offering items in front of a mirror. 3. Prop up the soul banners, the 3 pieces of soil figurines and then burn 3 pieces of white candles and 3 pieces of incense in front of the figurines. 4. Pour 3 cups of rice wine in front of the candles and put the Nareepol fruits on a piece of yellow cloth beside the soil figurine. 5. First thing first, take some rice and pour it over the egg. See if any rice grain sticks on top of the egg. If nothing stays on the egg that means the spirit is not willing to communicate; or simply the result will not be favorable. 6. Now, start to skin the apple slowly and carefully but be careful as not beak the apple skin. 7. Once you have done so, state your intentions loudly and calmly or you may read from a piece of paper prepared beforehand. 8. After a few rounds of recitations, use the small mirror to scan your surroundings; if the reflection is blurred, then the spirit is around you. 9. You may start your communication session with the spirit. 10. End the session when you have done enough, leave everything behind or put them under a big tree before you return home. Richard was a manager in a multinational manufacturing company; he also owned a fish farm mainly for the overseas market. About a year ago, Richard’s grandmother passed away at the age of 96. Strange thing happened to the granny while she was laid in a funeral parlor for visitors to pay her last respect. Richard found that blood seeped from granny’s nose and mouth; he thought it was because of the weather. After some complaints to the operator, Richard soon forgot about it. One month after his granny’s funeral, Richard’s uncle and father were diagnosed with pancreas cancer. In order to dilute their sadness due to a chain of unfortunate incidents; Richard’s nephew had a flash marriage in the hope to dilute the sadness. However unfortunate incidents continued on Richard’s side. Richard’s father succumbed to cancer fairly recently, i.e. about one year after the granny’s funeral. Richard had a slipped disc and he could hardly bend his body, added to that all of fishes in Richard’s fish farm died overnight. Oh, including to Richard’s beloved dog too. As Richard is a non believer in Feng Shui, his wife, Nancy contacted me through one of my friends, Mr. Tan. Nancy wanted to know if the chain of misfortunate incidents were caused by Feng Shui. So, I have to do a charity work this time free of charge as I was intrigued by what this unfortunate family has gone through. · The grave of Richard’s grandpa cracked due to the roots of an adjacent mango tree nearby. Added to that, the soil in front of the grave also sunk due to erosion. · A red and a white flower plant were found to have grown on the grave. This has caused ‘white’ affairs as in funerals and ‘red’ affair as in marriage. · Development work at the hill situated at the back of the grave leaving uneven slope surfaces and odd shape boulders. As we know, rocks bring ‘sha’. · A tall electric pole is located at the ‘sha’ side of Richard’s bungalow. · The bungalow is facing the ‘5 ghosts shadow’ (五鬼蔭) direction. I suggested some remedies, but as Richard is a non believer, there was nothing I could do. After all, it wasn’t my funeral to cry at. Old folks believe that a type of kid spirits known as “gods of dead” (亡神) can cause the unwary to be lost in an area such as a forest, an abandoned building or in the outer skirts of a village. This type of spirits will not kill, but their pranks can cause the person to lost his or her ways and hence fall from a height or starved to death. It is said that the gods of dead are headless, when they have charmed their victims; the victims will be hypnotized in such a way that these victims will follow whatever instructed by the spirits. Some of the things the mischievous spirits will do to the victim are: consume animal dunks, eat mud or drink muddy water. In time, the victims if not rescued; they may be tortured to death without regain consciousness. May is a freelance property evaluator stationed in Georgetown, Penang. She is often required to travel frequently on short notices to various parts of Malaysia as requested by her customers to evaluate properties. One morning, May received an urgent request to evaluate an old property in Papan, a small town in Central Perak. May agreed and she thought that it was only 2.5 hours drive from Penang so she started the journey after lunch. She met with her requestor by a row of ruined shop houses beside the main road and was led to her destination by her host. After arrived at the target building which is situated on a hill top, May’s host left May and leaving she alone in the building performing the photography and site works. As recalled by May, she didn’t like the feeling upon entering the building. It was an 180,000 square feet colonial style double story building. On entering the building May thought she saw smoke like substance gradually rose from the center of the living room floor. May’s instinct told her that something was not right, so she pulled a big chair to prop against the main door to prevent it from slam shut hence locking May inside. After spending an hour or so, May thought her site investigation work was completed and need some supplement from the owner; so she headed for the main entrance. You will not believed what May has experienced: She actually turned round and round going to and fro from downstairs to upstairs; from ground floor to first floor for about two hours but the exit was nowhere to be seen! May instinctively look at her watch and it was already 8pm and to her horror that there is no transmission signal on her hand phone. Though May was pretty jumpy but there was nothing she can do until she felt an urge to urinate. This feeling made May remembered what her old grandmother’s tips: pee when you’re in a ghostly maze! As narrated by May, it was indeed not her choice but that wasn’t anything she can do; so pee she was in the center of the living room. It was indeed amazing that once May has done so, she immediately saw a ball of light floating about 8 feet in front of her. So May followed the light ball until it went out of the house. By the time May got back to Penang, it was way past midnight. She pulled over to my place and awakened me from my slumber to tell me her story and asked me for a cleansing ritual. The Indochinese hill tribes have many magical rites that defy the imagination of ordinary modern people like you and me in that ordinary plants, animals and insects can be used to cast pretty power but weird magic. Common plants such as ginger and lily families are empowered for magical and healing purposes; many of such plants are poisonous in nature. We have already come across a few types of ‘ngai’ plants in my previous postings. Amongst common animals used in Indochinese magic are: chickens, goats, toads, snakes, cats, tortoises etc. While on the other hand insects such as centipedes, scorpions, spiders, cockroaches and crickets are also common magical intermediaries. Rumor has it that the late actress Pauline went to Thailand to learn how to worship cockroaches and crickets in the hope to regain her popularity. It was her hope that by worshipping cockroaches and crickets, her fan will increase at par with the populations of cockroaches and crickets in this world. But things weren’t gone as she has hoped for and her practice has made her to be not herself and hence the nickname ‘miss blur’ in the entertainment industries. The ritual to worship cockroaches and crickets is not difficult. One only has to catch hold of a cockroach and a cricket. Stuff the insects until death and wind dry the carcasses. After that write the birth particulars of the person on a piece of yellow or red cloth and wrap the dried insects with the cloth. This package is then worshipped on an altar as it is; or it is tugged into a statue of Buddha so as to avoid queries from the passerby. Besides used in gaining ones popularity, cockroaches and crickets are also used to curse a person. Same as above, a number of cockroaches and crickets are captured and put in a container. Then, a paper manikin inscribed with individual’s particulars together with his or her nails or hairs are thrown into the container. After that the container is sealed airtight. Couple with incantations, the spirits of cockroaches and crickets are sent to attack the person. It is said that the victim will feel as if insects are crawling in his or her body. In severe cases, the insects can even exit from victim’s mouth, ears and other openings. Normally, these types of primitive magic work on the principle of “an eye for an eye”; such magic cannot and will not attack unprovoked except the notorious ‘phi phop’, ‘gu’ (蠱) or ‘santau’. It is learnt from old tales that the practitioners of this breed of magic must release their spirit to harm the innocents within 3 years or the owners will be devour by their own spirits. 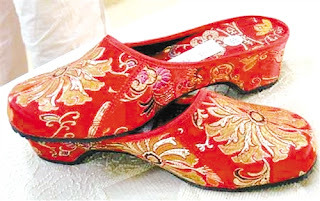 For the old Chinese folks, the sighting of a pair of red shoes is some very interesting phenomena. I was told by an old funeral service provider that when a single young lady died, her family members will prepare a pair of red shoes for her to wear in the hope that in her next life; she will be able to find a good household to reborn to. This is quite different with those ladies who committed suicide by wearing all red including a pair of red shoes. There are cases where a lady died of unknown causes or being brutally murdered, and if her family wanted her soul to take revenge of her death; then the deceased will be worn red and her hands holding a pair of scissors. In both of the above examples; the lady’s soul is believed to transform into vengeful ghost (厲鬼). Such restless spirits are known as ‘lady ghost in red’ (紅衣女鬼). This story is told by a former actress, Ms Low. According to her it is a taboo for people who worked in a filming studio to look up the film studio during filming. The reason is that the place above the studio is the darkest area of the building as most of the spot lights are directed towards the filming stage. Ms Low didn’t know this taboo when she first shooting in the studio. So she somehow developed the habit to occasionally lift her head to look upwards. One day, right after shooting a TV series; Ms Low habitually lifted her head and to her surprised, she was surprised to see a pair of feet wearing lady’s red shoes hanging on the spot light platform! Lily is a tour guide. As we know, tour guides are one of few persons who are likely to experience with ghostly sightings due to their professions. Lily told me that one of her unforgettable trips to Soul, Korea where her tour group was put up with a 3 star hotel somewhere in the outer skirt of the metropolitan. During this trip, Lily had to share a room with another lady group member. When the group arrived at the hotel, it was around 9pm. Lily’s roommate wanted to go out for sightseeing as the night was still young; but Lily only wanted to hit the bed as she will have a long day ahead next day.